Many of us are healthy and rarely get sick. This applies to individuals as well as families. What a pleasure to have good health but do not take it for granted. Even the healthiest people can suddenly be struck down with a serious illness or have a major injury or accident. Do not think it can’t happen to you or your family. Sadly, government hospitals in South Africa suffer from a lack of funds, a lack of staff and a lack of equipment. Many of them try very hard but struggle to give good basic health care. If you can afford it, medical aid is not a luxury, it is essential. There are a number of good reasons to join a medical aid and the sooner the better. Better healthcare – As mentioned above, most government hospitals are simply not able to provide the best level of healthcare. You want the best treatment for yourself and your family. No waiting for treatment or a bed – Because many government hospitals are understaffed and underequipped, patients often have to wait some time for treatment. This applies to minor and even serious conditions. Most private hospitals will attend to you quickly. Ambulance service – Again, government ambulance services are slow compared to private services. A good medical aid will get you to a hospital quickly. Often, every minute counts. Serious accidents – The same applies here. If you have an accident or illness in a remote area, a private service will get you to a hospital quickly even if you are in some distance away from an ambulance service. Choice of hospitals – With a good medical aid you will have a choice of convenient hospitals if you have to be admitted. Many times, with government hospitals, you have to go where there is space available. This could be far from home and an inconvenience for you and your loved ones. No exclusion for pre-existing conditions – If you join a medical aid with a pre-existing condition, they can refuse treatment for that condition for up to 12 months (also known as a waiting period). Had you joined prior to being diagnosed with this condition, you will be covered. Pregnancy exclusion – If your wife or partner joins they medical aid once she is already pregnant, most medical aids will deny cover. Hospital deliveries can be extremely expensive. If there are complications, the costs could be crippling. Access to treatment – Some government hospitals simply lack the skills and equipment to treat certain medical conditions. If you are at the mercy of a government hospital, you could be denied necessary treatment. The earlier you join, the less you pay – As younger people are generally healthier, they will pay less for medical aid. As they age, the premiums will increase but it will still work out less expensive than joining later in life. 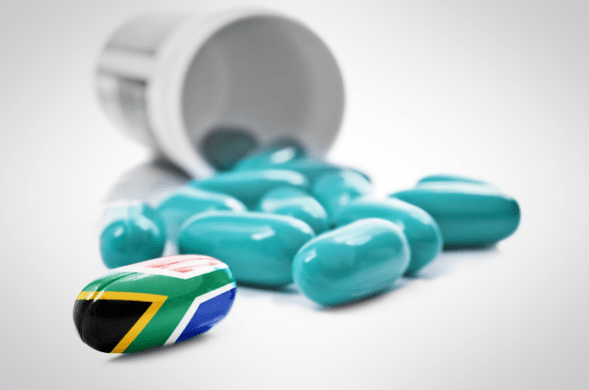 Chronic medication – While government hospitals will provide you with chronic medication, there is often a waiting period for this or the discomfort and inconvenience of waiting for long periods to be assisted. In a perfect world, there would be quality healthcare for all. Until such time as that happens, medical aid is an important investment.